1941 Columbia — Jeff Svitak Inc. 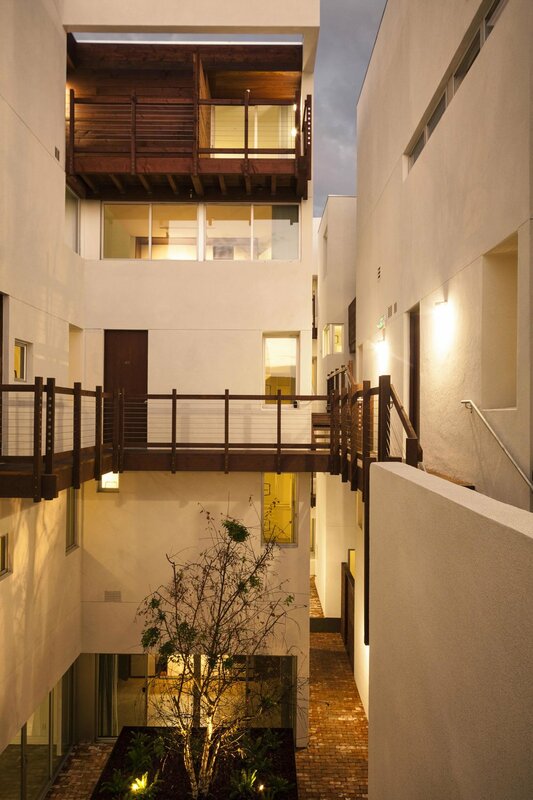 Inspired by the narrow and winding streets of Venice, Columbia contains 18 apartments which are separated by delicated carved voids, creating internal courtyards that compress and expand. The concept of the void allows for maximum use of space, light and ventilation. 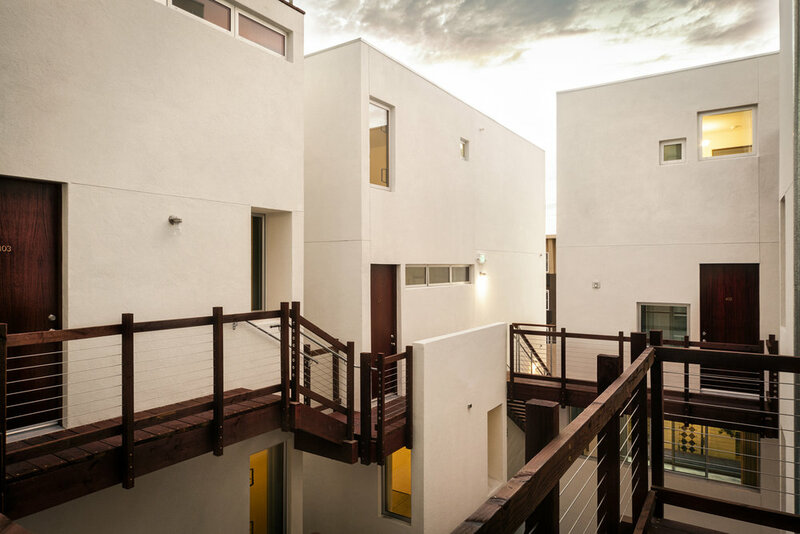 Instead of one building with many units and shared walls, these apartments function more as small individual houses, which open up onto private patios and shared courtyard spaces.